Back when the concept of the World Wide Web was envisioned, the people behind the innovation that brought us the internet imagined a utopian web network where the human race could connect, socialize, educate, and communicate freely. While the globalization of the internet surely has helped us do so, there have been two sides to the coin where the internet has done plenty of harm with the magnitudes of good. Whether it has been the political differences between the different regions across the world or just the requirement of the capitalist world to create separation among users, virtual boundaries do exist on the World Wide Web. Whether it is your ISP (Internet Service Provider) that has restricted access to a certain website or Netflix that has limited you to regional content, there are plenty of reasons why you’d want to use a VPN service. The Android OS is nothing short of a computer software platform, allowing you to access the internet and enjoy multimedia content. This is why the need for VPN apps on Android arises, and there is fierce competition in the VPN market when it comes to offering top-notch service. We’ve separated the best and brightest service providers for VPN on the Play Store between free and premium choices, so you can find one that fits your requirements. Not only are private entertainment services like Netflix regulating the content you can watch online, but even countries such as the Chinese government do so quite aggressively. This is why NordVPN was created in the first place, giving users complete access to the internet without a filter of any sort, and offering high-end privacy features. With dedicated support for high-density markets of the United States, the United Kingdom, India, Netherlands, and others, the service includes 2048-BIT encryption. Not only do you have complete control over the location and servers, but there are features such as DNS leak protection along with a strict no user-logs policy added in the bag. ExpressVPN tops almost every list of best VPN services there is and, and there isn’t just one reason for it. 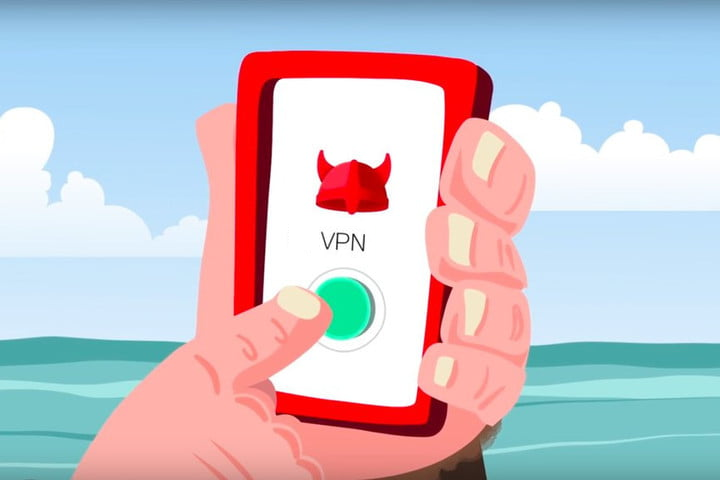 Spanning across multiple user platforms from mobiles to the web, ExpressVPN comes with cutting-edge SSL security and 256-BIT encryption for a private browsing experience, while offering a relatively affordable pricing plan. Rated one of the fastest VPN services among the users across the world, it has been especially useful in streaming content in high definition. Spanning across 90 countries and 145 cities, ExpressVPN is among the few that offers dedicated servers for Netflix streaming, with a 30-day money-back guarantee so that your investment is always safe. Backed with state of the art ironclad security measures, CyberGhost is popular because of the fact that it is available to free users as well. 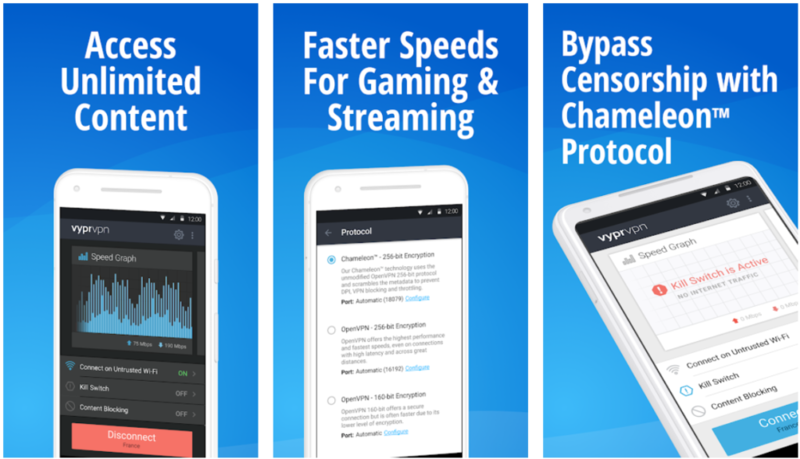 Among the affordable choices to make on this list of premium VPN apps, CyberGhost comes with a wait period that is removed automatically with a Pro account, allowing support for accessing only Netflix USA too. While it may not break the barrier in terms of transfer speeds, it is still among the most secure VPN service providers with IP and DNS masking, no-logs rule and other failsafe features. 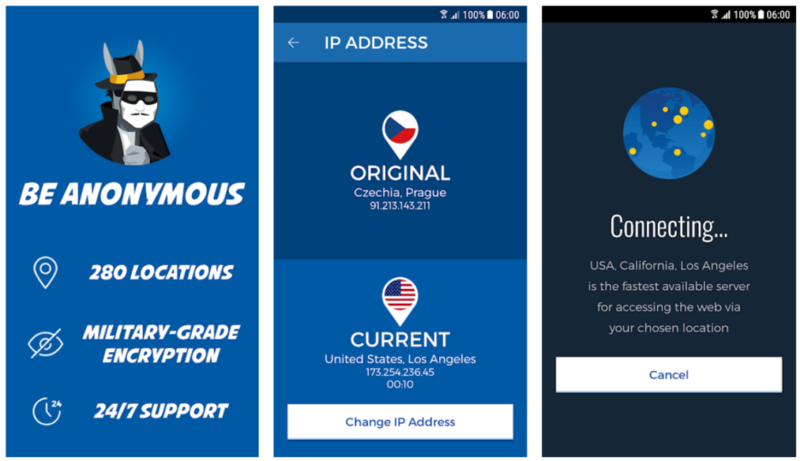 Available across Android, iOS, Windows and even Mac, CyberGhost VPN offers phenomenal customer support as well. HideMyAss is among the oldest names in the business of VPN services, going back almost a decade. Packing some powerful and reliable AED 256-BIT security protocol for an anonymous and secure surfing experience, this HideMyAss Pro brings you special support not just for desktop and mobile phones, but directly for your home routers as well. With a network of more than 850 servers across 190+ countries across the world, there is barely any region where HideMyAss has not already set up its servers yet. All of these high-end security features are back by a 30-day money return policy so you never have to worry about spending your hard-earned money on a VPN service that doesn’t pay off. VyprVPN is a strong contender among the best VPN apps not just for the fact that it sounds cool, it is the promise from the company. Offering dedicated streaming for Netflix and several other multi-regional streaming services, there’s a lot to VyprVPN. Packing security features like L2TPperIPsec, Chameleon, and PPTP, you don’t have to worry too much about privacy when using VyprVPN. One pain point about VyprVPN is that it does tend to record your connection time and IP address, which isn’t exactly a thrill. It might even be a deal-breaker for some, but the fact that you can use VyprVPN on 5 different devices at once without a hiccup, does make it worth the money spent on it. There are hundreds of VPN apps on Android and a bunch of them are free, but only a select few like the Hotspot Shield can be trusted in terms of security. Offering high-efficiency transfer speeds from multiple geolocations across the globe, Hotspot Shield comes with the ability to hide your IP address, data encryption, and no logging either. To start off with the free version, you get to enjoy this VPN service with unrestricted access for up to 500MB per day. Since the VPN service runs across the entire smartphone system, you can use it with virtually any app to spoof your location and unlock regional-restricted content, regardless of whether you you’re browsing with Google Chrome or using Hulu. 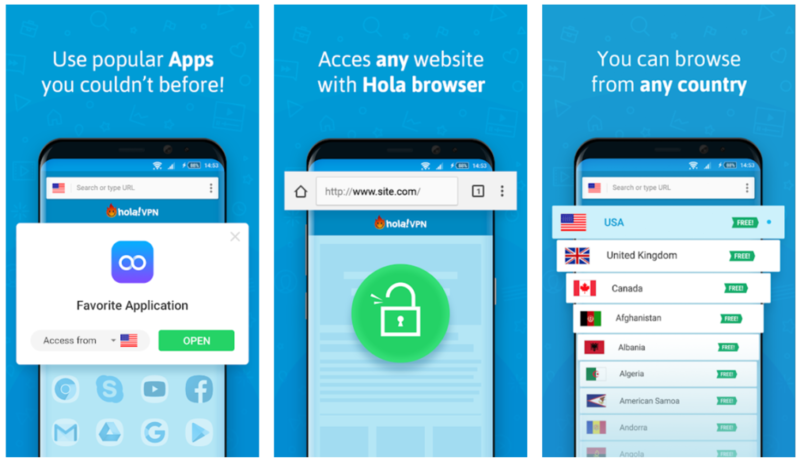 A reputed name in the P2P VPN service business, Hola has made a name for itself as one of the best extensions for Google Chrome and has now made its way to Android. The commercial version of the Hola VPN app brings unrestricted access to your mobile phone with support for browsing from dozens of countries across the globe. Designed specially to accommodate mobile apps, you can set up preferred geolocations for specific apps by default. You can even use the browser that comes built into the Hola VPN app to surf the internet with no restrictions, and all of this is backed by firewall protection, data encryption and IP masking. 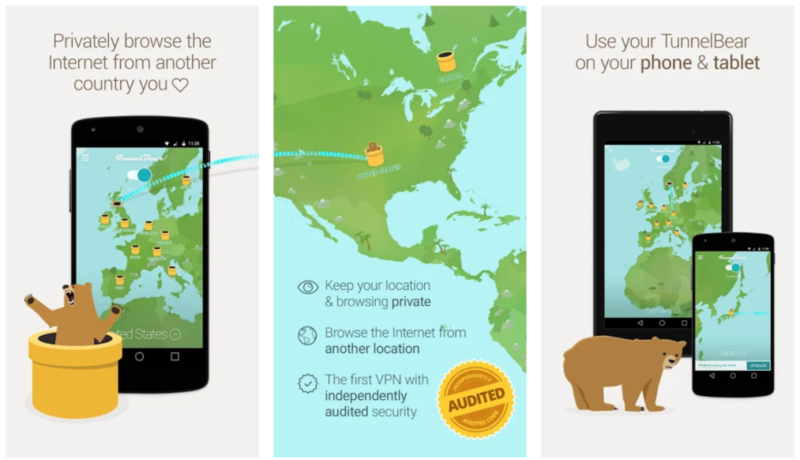 A prominent name in the VPN service provider market, TunnelBear VPN has emerged as a champion of privacy while offering dedicated transfer speeds across all regions. Offering its services from network centers in more than 22 countries across the world, the AES-256 encryption makes up for unbroken security firewall at all times. The premium TunnelBear VPN membership is where the real juice is at, but even the basic version of the app is worth it. Apart from receiving free data allowance each month and every time you refer the TunnelBear app, you even get some mobile-oriented features such as the home screen widget to help you activate the VPN service right away. It has been estimated that mobile users have surpassed the usage of the internet across all websites in comparison to desktop users. This is one of the key reasons why even the biggest names in the VPN service industry have drastically shifted to becoming mobile-first services in just the time span of a few years. 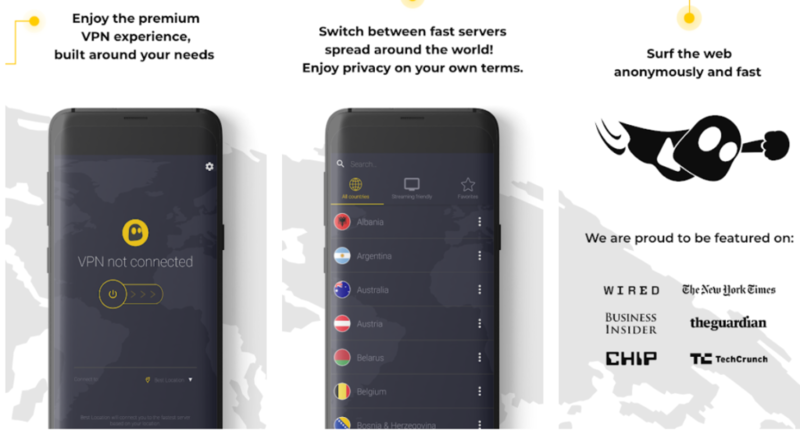 While there are plenty of great free VPN services for Android out there, we would still recommend that you shell out the few extra dollars for a premium VPN app. Not only are free VPN apps restrictive in terms of bandwidth, but some have also been noted to log your browsing data, thus defeating the purpose of security and privacy.